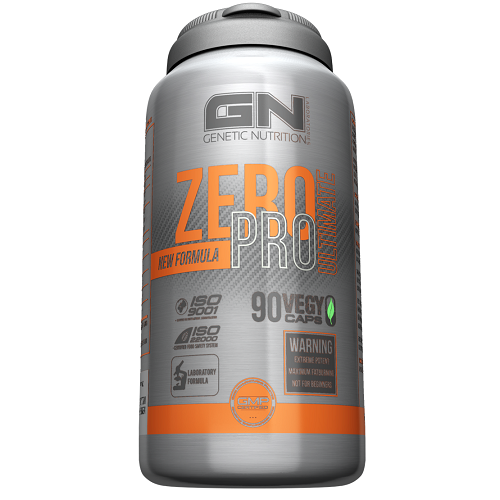 ZeroPRO Ultimate The strongest and most effective fat burner GN Laboratories has ever produced. Its new and innovative will attack your unwanted love handles from every possible angle and thus leave nothing to be desired! Targeting fat loss from all angles, maximal effects on all aspects of successful dieting – ZeroPRO Ultimate surpasses every fat burner you have tried or heard of before If you liked ZeroPRO and ZeroPRO Extreme, there’s no doubt you will love ZeroPRO ultimate. ZeroPRO Ultimate is the first of a next generation of fat burners. Being based on a synergistic matrix of the most powerful and scientifically proven ingredients, ZeroPRO Ultimate is much more than just the most powerful fat loss tool we have ever produced. 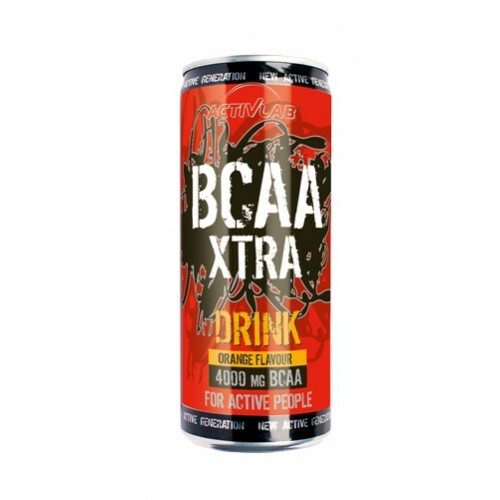 It is the strongest legal fat burner on the European market. ZeroPRO Ultimate is different from your average fat burner. It is, just as all of our products, a fat loss tool that has been specifically tailored to the very specific requirements of our customers. In contrast to other fatburning formulas on the market, ZeroPRO Ultimate covers all the different aspects of successful fat loss and dieting. This is why we are convinced that you will love ZeroPRO Ultimate, the most potent all-encompassing diet adjuvant on the market. At this point, you will probably ask yourself what we mean when we talk about “targeting fat loss from all possible angles.” Well, these “angles” obviously include all the suspects, such as an increased metabolic rate, supercharged fatty acid oxidation, and potent appetite suppression. With ZeroPRO Ultimate, however, we have gone far beyond the benefits other fat burners claim to offer. The first two important angles ZeroPRO Ultimate will cover are increases in energy expenditure and the oxidation of body fat. It is ZeroPRO Ultimate’s uniquely synergistic combination of ingredients that allows this next-generation fat burner to stimulate your metabolic rate and energy expenditure at rest and during workouts like no other fat burner on the market. The promptly visible consequence of these effects is a rapid loss of body fat that is further promoted by the ZeroPRO Ultimate’s ability to increase the release of stored fat from your body’s fat cells – a process, scientists call “lipolysis”. That’s important, because ZeroPRO Ultimate will thus make sure that your body actually uses fat, not muscle, to fuel its energetic demands when you are dieting. ZeroPRO Ultimate will also address another common problem every dieter will know: The fat that is released from the fat cells is only “lost” if it’s also oxidized in the mitochondria of your cells. Since ZeroPRO Ultimate contains several potent stimulators of your cells’ beta-oxidation, it reduces the risk that the fat that is released from your fat cells is not oxidized and thus simply stored again – either in the same or other fat cells of your body. This is yet not the only advantage of a combined increase in lipolysis and beta-oxidation: Because ZeroPRO Ultimate shifts the balance of the two major fuel sources your body uses from glucose to fat, it will also ramp up your endurance performance and protect the precious glycogen stores in your muscles from being consumed before you even hit the gym. Now, many of you will have realized that thermogenic supplements, alone, do not guarantee dieting success. In fact, any increase in energy expenditure will also increase your appetite and hunger. Therefore, ZeroPRO Ultimate contains a blend of ingredients that has been shown to induce practically relevant reductions in appetite and hunger – and even more importantly – food intake in human studies. In conjunction with their ability to stabilize your blood sugar and insulin levels these agents will protect you from the dreaded hunger pangs and munchies that can ruin every diet attempt. In that, it is worth mentioning that ZeroPRO Ultimate is the first complete fat loss formula that contains practically relevant amounts of glucomannan, an ingredient that has recently been shown to be among the most potent appetite suppressants known to man. One important aspect of improving your body fat percentage many products on the market fail to address is the loss of fat free mass. ZeroPRO Ultimate however offers many built-in safety nets for your hard-earned muscle mass: Firstly, its ingredients will increase the availability and use of fat as a fuel. This will automatically reduce the risk that your body breaks down muscle protein to use it to fuel its energetic requirements. To reduce the risk of muscle loss even further, ZeroPRO Ultimate contains agents like AMP Polyhydrate™ and caffeine, which offer an additional glycogen and protein sparing effect. If it’s used in conjunction with intense resistance training ZeroPRO Ultimate’s stand-alone muscle sparing effects will guarantee maximal lean mass retention. Sounds familiar? We know that other fat burners make similar claims, but you can be assured that ZeroPRO Ultimate’s effects on fat loss go well beyond those of the both, the average and extraordinary thermogenic you may or may not have tried before. Its special ingredient matrix was specifically designed to inhibit the absorption and use of dietary fat and carbohydrates. The fat- and carb-blockers that are an integral part of ZeroPRO Ultimate’s unique physique improving formula will effectively reduce the amount of energy your body can derive from the foods you eat. The result? Your energy deficit will increase, your fat loss will accelerate. In addition, ZeroPRO Ultimate inhibits the diet-induced reduction of your body’s metabolic rate. This otherwise inevitable side effect of dieting is the #1 obstacle to continuous fat loss. ZeroPRO Ultimate does that by supporting the endogenous production of thyroid hormones and blocking the diet-induced reduction of beta-receptors sensitivity. By countering your body’s natural anti-weight loss mechanisms, ZeroPRO Ultimate will allow its thermogenic ingredients to work their fat burning magic not just longer, but also stronger than your average fat burner. Wow! That was quite a lot of information, right? Let’s briefly recap, then: Increased fatty acid oxidation and energy expenditure, improved workout performance and reduced appetite, muscle protection and the promotion of continuous diet success! That doesn’t just sound like the magic fat loss formula, it is the magic fat loss formula. It’s ZeroPRO Ultimate! ZeroPRO Ultimate will make dieting easier, faster and more effective. And by blocking or at least ameliorating all the nasty side effects of dieting – constant hunger, unbearable cravings, a debilitating lack of energy and workouts that simply s*ck – ZeroPRO Ultimate will eventually make you forget that you’re even dieting! ZeroPRO Ultimate’s innovative, highly efficient ingredient matrix The ingredients of ZeroPRO Ultimate have been put together based on the latest scientific evidence. Synergistically, they will help you maximize your fat loss, suppress hunger and appetite, and preserve your energy levels and training performance. Thus, ZeroPRO Ultimate reaches a level of efficacy that is vastly superior to practically every other legal fat burner or diet aid on the market. In contrast to many other products, ZeroPRO Ultimate does not simply contain significantly under-dosed amounts of every ingredient that has been remotely linked to dieting and fat loss in the past. We have carefully selected all of its ingredients and their respective dosages to establish an optimal synergism and thus realize effects which go well beyond what you could expect if you just added up the individual benefits of each of the ingredients. To ensure its safety and efficacy we have focused exclusively on scientifically and practically proven fat loss agents. No hype, no false promises. Don’t be fooled by the false claims, the names of scientifically unproven exotic herbs and herbal extracts and the deliberately confusing chemical formulae on the labels of competing products. Trust in the science which guarantees that ZeroPRO Ultimate will annihilate your body fat, but not your health! AMP Citrate, the active ingredient of AMP Polyhdrate™ is the new superstar among the fat burning, performance enhancing agents. 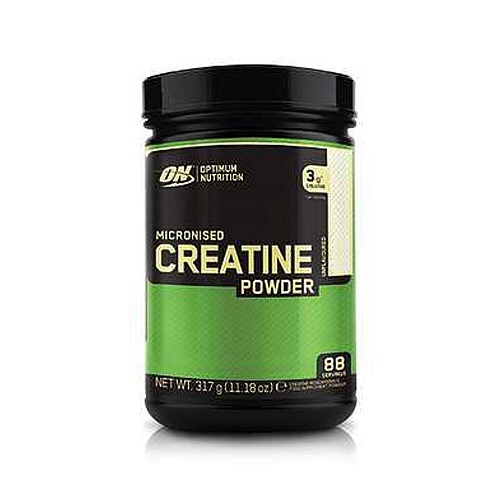 It is the strongest legal stimulant on the market and – as far as its thermogenic and ergogenic effects are concerned – a worthy successor to ephedrine, ephedra and DMAA. The strong thermogenic effects of AMP Polyhydrate™ allow for a concomitant increase in energy expenditure and reduction in appetite. In addition, it will boost your training performance, focus and mental acuity, which would otherwise suffer from the constant lack of dietary energy, both in as well as out of the gym. AMP Polyhydrate™, which contains probiotic bacteria to boost its bioavailability way beyond that of any regular AMP citrate product, acts synergistically with caffeine (in other words, the two of them amplify each other’s effects) and provides a thermogenic and ergogenic stimulus that’s unlike anything you’ve experienced before. Caffeine has always been the most popular ingredient in fat burners and pre-workout supplements - and that’s by no means unreasonable. After all, caffeine has scientifically well-established thermogenic and ergogenic effects. It will promote the use of body fat as a fuel both, during training and at rest, spare muscle protein and glycogen, and thus allow for longer and harder workouts while minimizing the risk of muscle loss. And with its recently proven ability to inhibit the absorption of dietary fats from the intestines, caffeine will also reduce the net energy availability when you’re dieting. Green tea extract (GTE) contains a blend of polyphenols like epigallocatechin-gallate (EGCG). These agents are not just unbelievably healthy, they have also been shown to support the loss and to prevent the accrual of body fat in countless scientific studies. GTE will ramp up both your basal metabolic rate, as well as the oxidation of fatty acids. This results in an increased use of body fat as a substrate to fuel your daily energetic demands and reduce your reliance on muscle glycogen. In that, it is interesting to know that studies have shown that the fat liberating effects of GTE appear to be specifically pronounced in the abdominal region; a property of green tea that makes it particularly valuable for anyone aspiring to build a presentable six pack in a minimal amount of time. Furthermore, GTE will stabilize your blood sugar levels and thus reduce the production of insulin, which would otherwise inhibit the oxidation and promote the storage of fatty acids. At the same time, its proven effect on the resorption of dietary fat from the digestive tract allows for a further reduction of your net energy intake. And as if that was not enough yet, GTE will also inhibit the enzymes that are responsible for the metabolism of thermogenic catecholamines like epinephrine and norepinephrine. Overall, GTE is thus the perfect synergist to caffeine and AMP Polyhdrate™ the two main thermogenic ingredients in ZeroPRO Ultimate. Chlorogenic acid is an agent that occurs in significant amounts only in green, yet not the roasted darkish-brown coffee beans. It is a fascinating molecule that has been shown to ramp up both, the basal metabolic rate as well as the production of fat burning enzymes and the oxidation of fatty acids in the liver. What is also noteworthy is the fact that GCE, unlike caffeine and GTE, will also inhibit the absorption of dietary fats and carbohydrates from the intestine. As a potent fat- and carbohydrate blocker, GCE will thus further reduce your net energy availability and thus help you lose body fat even faster. And as if that was not enough yet, chlorogenic acid has also been shown to actively inhibit the storage of body fat and the rise of insulin that occurs in response to high carbohydrate meals. Coleus Forskohlii is an Indian plant with active ingridients that is best-known for its testosterone boosting effects. Forskolin, however, is far more than just another testosterone booster. Research shows that forskolin is also a potent fat burner that prevents the loss of lean mass while promoting the annihilation of body fat. The fat burning effects of forskolin can be traced back to a multitude of different mechanisms. One of these is a beta-receptor independent increase in resting metabolic rate. The latter is complemented by the increased use of body fat to fuel your energetic demands as well as the activation of the fat-burning brown fat depots of your body. Forskolin has also been shown to potently inhibit the storage of body fat as well as to trigger significant increases in cAMP and thyroid function – both are parameters that begin to decrease significantly whenever you’re dieting for an extended period of time. Consequently, Forskolin will help to prevent the diet-induced decline in energy expenditure and thus promote continuous fat loss. One last, yet important thing you have to know about Forskolin is that it can enhance the sensitivity of your beta-adreno-receptors by 1000%-2000%! Practically speaking this means that Forskolin will potently enhance the effects of other ingredients in ZeroPRO Ultimate like AMP Polyhydrate™ or caffeine – agents that work their fat burning magic via said receptors; receptors the sensitivity of which is otherwise down-regulated during weeks of dieting. Garcinia Cambogia extract contains the active ingredient hydroxycitric acid (HCA). The latter has been shown to increase the level of serotonin in your brain. Serotonin, which is also known as 5HT, is a the “happy-neurotransmitter” that controls – among other things – the satiety response in your brain. It is thus hardly surprising that HCA has been shown to help people stick to their diets and control their cravings even when they were running severe caloric deficits. Since serotonin appears to reduce the carvings for sweets, in particular, this effect may be most important for dieters on low carbohydrate diets. In view of the fact that HCA has also been shown to reduce both, the postprandial glucose and triglyceride response, as well as to increase the use of body fat as a fuel and to protect the glycogen stores in your muscles from being tapped into as an energy source, HCA makes the ideal complement to the other ingredients of ZeroPRO Ultimate. Black pepper contains a unique alkaloid called „piperin“. Scientific studies show that piperin has potent thermogenic effects and will thus add to ZeroPRO Ultimate’s already potent effect on your metabolic rate. What is particularly interesting about piperin, though, is the fact that it will also inhibit a set of enzymes that is responsible for the breakdown of other ingredients in ZeroPRO Ultimate. The consequences should be obvious: Since fat burning agents like caffeine & co will be metabolized significantly slower, their effect is going to be significantly prolonged. Cayenne pepper contains capsaicin. Capsaicin is an alkaloid of which researchers have found that it will increase the production and release of the catecholamines epinephrine and norepinephrine aka “adrenalin” and “noradrenalin”. These potent signaling molecules will bind to the beta receptors on your fat cells, promote the release of stored body fat, inhibit the storage of new body fat and increase the oxidation of the latter in the mitochondria of your cells. In conjunctions with its generally beneficial effects on thermogenesis and the related increases in energy expenditure, capsaicin which will also act as a potent appetite suppressant. Said properties make it the optimal synergist to caffeine and other ingredients in ZERO Pro Ultimate. Glucomannan is an indigestible polysaccharide that occurs naturally in various plants such as the konjac plant. Glucomannan is thus a natural fiber. It has one of the highest water-binding capacities of all natural fibers known to man and can retain up to 50 times its own weight in form of water. When glucomannan is ingested, it will form an indigestible gel in your digestive tract that will give you a long-lasting feeling of satiety. In addition, scientific studies suggest that glucomannan will also reduce the glycemic load of whatever it is co-ingested with. Practically speaking this means that the glucomannan in ZeroPRO Ultimate will contribute to a stabilization of your blood sugar levels and thus counter the anti-fat loss effects of insulin. Dandelion has been known for generations as a potent, yet perfectly safe natural diuretic. It can thus reduce, if not fully inhibit, the retention of subcutaneous water that will make your muscles look as if the were covered by a layer of fat. With its combination of natural diuretics like dandelion extract and caffeine, ZeroPRO Ultimate will make you look harder and more defined without running the risk of developing any of the unwanted and potentially risky side effects prescription diuretics would have on the mineral balance of your body. Chromium is a trace element that is essential for the normal function of your body’s glucose metabolism. A lack of chromium, which is highly prevalent in the Western world, can thus have undesirable and far-reaching negative effects on your insulin sensitivity. If your insulin sensitivity is reduced, however, your body will produce more insulin to try to compensate for the lack of its effect. Unfortunately, this increased production of insulin will potently impair your fat loss success by inhibiting the release of stored and promoting the storage of new body fat. To ensure that a lack of chromium in your diet won’t ruin your fat loss success chromium is the last, but certainly not the least important item on ZeroPRO Ultimate’s ingredient list. Wir verwenden nur die reinsten und hochwertigsten Inhaltsstoffe, die der Markt zu bieten hat. Unsere Produkte werden unter strengsten pharmazeutischen Bedingungen in einer GMP zertifizierten Einrichtung hergestellt. Um Ihnen eine gleichbleibende und höchstmögliche Qualität all unserer Produkte garantieren zu können, werden alle GN Laboratories Produkte regelmäßig im Labor auf Reinheit und Qualität all ihrer Inhaltsstoffe untersucht. Produkts tika pievienots Saturday 27 February, 2016.